All his drastic corporate rejiggering and continued phone-hacking controversies do not seem to have stopped News Corp.’s Rupert Murdoch from continuing to tweet up a storm. And by storm, I mean some pretty controversial Twitter tornadoes of late. It’s highly unusual for a sitting CEO, since many well-known people arrive on Twitter with a lot of noisy sparkle and then follow with hardly a whimper. 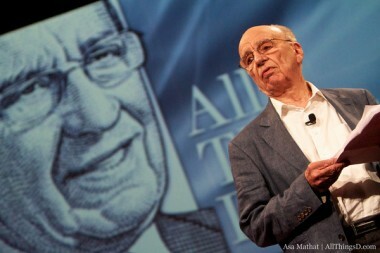 But Murdoch, who first appeared on the communications service in January, remains very active and pot-stirring. Previously, targets were Google and President Barack Obama, but Murdoch recently added more to his digital target practice. Met Romney last week. Tough O Chicago pros will be hard to beat unless he drops old friends from team and hires some real pros. Doubtful. Do not forget July Fourth and remember to read the Declaration of Independence aloud. At least once! In Murdoch’s case, perhaps a plug for the Constitution would be more apt, what with the freedom of tweet — oops, speech — part.